This charming pre-war building has been totally renovated, including a new elevator and laundry room. The lobby has been enhanced, showcasing the magnificent gold gilded crown moldings. All units have large rooms, oversized windows, high ceilings, hardwood floors and ceramic bathrooms. 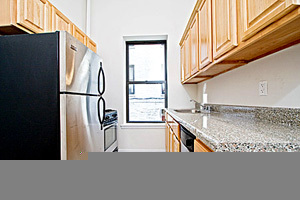 The kitchens have a sophisticated contemporary look with brand new stainless steel appliances. Exclusively shown by Appointment only. Contact Simon Shamilzadeh, 212 688 1134.